Assalamualaikum WBT, Alhamdulillah, setinggi tinggi kesyukuran dirafakkan kepada Yang Maha Berkuasa Allah SWT kerana dengan limpah rahmatNYA kita dijangka bakal meraikan Hari Raya Aidilfitri pada 15Jun2018 ini. 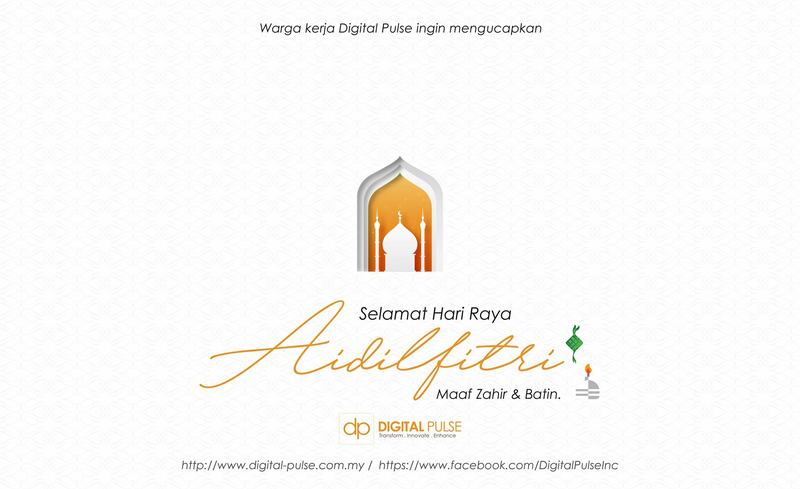 Di kesempatan ini, saya mewakili pengurusan dan warga kerja Digital Pulse Sdn Bhd ingin mengucapkan Selamat Hari Raya Aidilfitri Maaf Zahir & Batin buat para pelangan, rakan niaga, sahabat serta kenalan sekalian. Semoga Aidilfitri pada tahun ini disambut dengan penuh perasaan keimanan, ketakwaan dan kesyukuran yang hakiki selain mendapat keampunan atas dosa-dosa yang lalu. Di doakan kita semua sentiasa di bawah rahmat Allah serta dipermudahkan segala urusan. CEO – Digital Pulse Sdn. Bhd. Digital Pulse Brings Cloud Datacenter to Customers. Digital Pulse has the expertise to transform customers physical traditional datacenter into cloud datacenter. This virtual datacenter sits across the globe. Our technology provider is Softlayer, a leading provider of cloud solution. Currently we are running few virtual data center across the globe. Datacenters that are connected to each other through global high speed network span. We are are able to implement and jumpstart a complete end-to-end infrastructure datacenter for our customers by leveraging this cloud DC. The whole process happens within a very short timeframe. Which includes provision of network firewall, network switches, servers, storage, backup, mail services and many others services. Thus enable customers to provision their system in less than 3 days. Overall cost to implement a datacenter has also reduce greatly. There is no more expensive outright purchase (capex). All is subscription base, pay as you use. Talk to us if you would like us to assist with your virtual and cloud datacenter requirement. DigitalPulse is an authorized Huawei partner. We focus on enterprise wired and wireless networking segment. Contact us should you require us to assist with your networking requirement. Companies looking for accounting system that is cloud hosted shall look no further. Digital Pulse provides SME companies with easy to use, practical and functional GST-comply accounting system. It runs on the cloud and can be run immediately starting from as low as RM 59 monthly. iAccount has extensive features including purchasing, invoicing, delivery note, payslip, employee, reporting and many others.iAccount is base on the popular Manager accounting tools. Digital Pulse provides the subscription approach , a hassle free way to setup web accounting system without excessive in-house IT facilities (server/storage/etc). Contact us if you wish to subscribe iAccount for your company’s accounting needs. Digital Pulse has been appointed as infrastructure-as-a-service partner for mobile apps war base game by Jabatan Latihan Khidmat Negara. The mobile games named CampWarriors is one of BSKN-PLKN national initiative to attract and facilitate PLKN alumni to register and reconnect among them, the PLKN alumni and its community. Digital Pulse able to provision the entire game platform within short time frame by utilising cloud technology. The game and its related application system has been deployed using cloud infrastructure to accommodate players across countries. The game is available for download via Apple Store and Google Play. 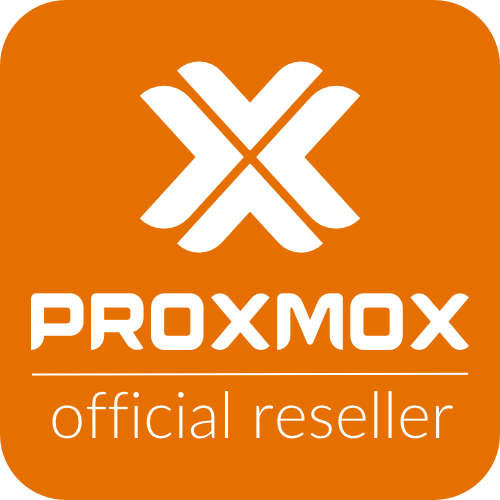 Proxmox VE is a complete open source server virtualization management software. It is based on KVM virtualization and container-based virtualization and manages KVM virtual machines, Linux containers (LXC), storage, virtualized networks, and HA clusters.The enterprise-class features and the intuitive web interface are designed to help you increase the use of your existing resources and reduce hardware cost and administrating time – in business as well as home use. You can easily virtualize even the most demanding Linux and Windows application workloads. Proxmox VE is a powerful and lightweight open source server virtualization software, optimized for performance and usability. For maximum flexibility, Proxmox VE supports two virtualization technologies – Kernel-based Virtual Machine (KVM) and container-based virtualization with Linux Containers (LXC). The enterprise-class features and the 100% software-based focus make Proxmox VE the perfect choice to virtualize your IT infrastructure, optimize existing resources, and increase efficiencies with minimal expense. You can easily virtualize even the most demanding Linux and Windows application workloads, and dynamically scale-out your computing and storage as your needs grow ensuring to stay adaptable for future growth of your data center. 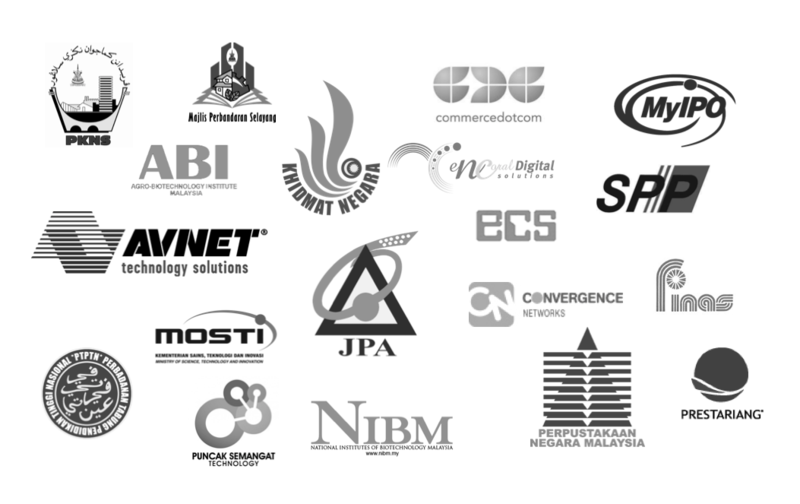 Digital Pulse is Authorized Reseller for Malaysia and nearby region. Digital Pulse is registered with Oracle Partner Network. With more than 420,000 customers and deployments in more than 145 countries, Oracle offers a comprehensive and fully integrated stack of cloud applications, platform services, and engineered systems. Learn more about Oracle and who we are. Digital Pulse focus area are Oracle Servers and Database, Storage and Engineered Machines. Digital Pulse is now Abstrium SAS authorized partner and reseller. Abstrium SAS is the developer of PYDIO – Enterprise Cloud Document Sharing and Sync Solution. PYDIO – Put Your Data In Orbit is an enterprise class cloud document sharing and syncing solution that works on a private datacenter or hybrid mode. Pydio is a solution designed for the enterprise with developers and system administrators in mind. IT Professionals are now expected to manage risks from consumer cloud storage and shadow IT solutions. In a best case scenario, your company’s vital data is scattered throughout the internet. In most cases, you cannot even verify in which country your data is being hosted. This can lead to significant legal and security vulnerabilities. IT professionals can manage their risk by providing a secured solution where the vital company files are managed through secured access to the company’s on-premise server or private cloud. By providing an easy to use solution, IT professionals can assure that their end-users will comply with the new policies and make roll out a breeze. Simply put, you decide how you want to roll out your file solution. You can use your existing legacy file infrastructure, or you can set up Pydio on fresh infrastructure dedicated to the project. Either way, it is you who decides. Allow your users focus on your business. Let Pydio handle file sharing & sync. Digital Pulse Sdn. Bhd. 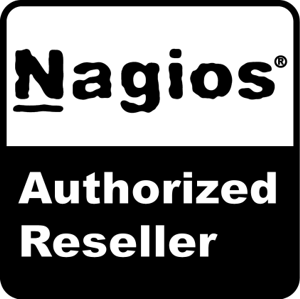 is now an authorized Fortinet Reseller Partner. We focus on improving IT security together with our customer. Do contact us if you are looking for services to implement Fortinet products. You can also purchase from us Fortinet products to meet your project requirements. Keep in touch with us. Looking forward to hear from you soon.